​Los Angeles, CA – On September 27th, California Secretary of State Alex Padilla, alongside the Korean Resource Center (KRC), LA Youth Vote and Next Gen Climate held a kick-off press conference at John Francis Polytechnic High School in Sun Valley as part National Voter Registration Day (NVRD), a nationwide, nonpartisan effort to register hundreds of thousands of voters across Southern California. 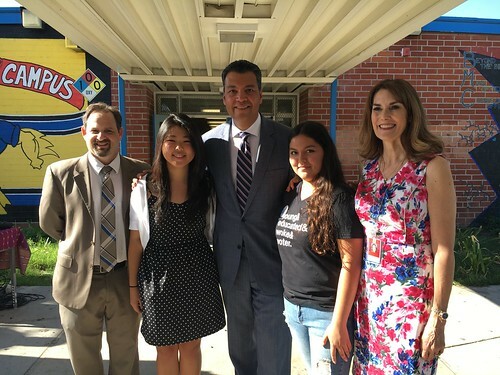 Embraced by a host of celebrities, bipartisan elected officials and organizations, NVRD leverages the collective impact of thousands of community partners, including hundreds of our youth leaders across Southern California. "Our democracy is stronger when the largest number of people participates in elections, and in this critical year we must make sure everyone has a voice,” Tom Steyer, Founder of NextGen Climate, said. “That’s why I’m proud to partner with National Voter Registration Day: a nationwide effort to register, educate, and mobilize as many voters as possible. We must ensure that everyone who is eligible to vote has a chance to register and vote on November 8." Over 80 students registered to vote at the kick-off event, and hundreds more are to follow at nine other school registration events organized by KRC this week. To date, KRC has registered over 4,500 voters, most of them young voters under the age of 25. “Our communities and our families are showing up in this election – there is historic level interest by our communities to participate in the political process. Currently, of all eligible youth voters from ages 18 to 24, 48% were unregistered to vote in 2014. By registering and turning out in record numbers to vote, we will change the tide on how young people participate in the political process and how our ideas can become solutions to our community’s challenges", said Jonathan Paik, Campaign Manager at the Korean Resource Center. The Korean Resource Center is a non-profit community organization empowering low-income immigrants, Asian Americans and Pacific Islanders, and people of color communities in Southern California. Using a holistic approach, we integrate services, education, culture, organizing, and coalition building. NextGen Climate America is a non-partisan, non-profit organization dedicated to creating a level playing field so that low-carbon advanced energy solutions can fairly compete with entrenched fossil fuel interests. Launched in 2014, we develop and advance policies to prevent climate disaster and promote prosperity for every American. To end the free ride that fossil fuel companies enjoy at our expense, we are committed to establishing national safeguards to end the unlimited dumping of carbon pollution into our atmosphere and supporting innovative leadership at the state level. 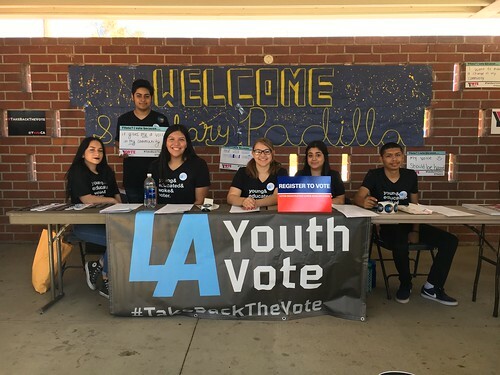 LA Youth Vote is a year round targeted civic engagement effort to empower high school students to become aware and engage in civic life. By educating and engaging high school students in the electoral process, we create a culture of civic participation and engaged citizens. This allows students to feel that their voices are valued and taken into account through their votes. 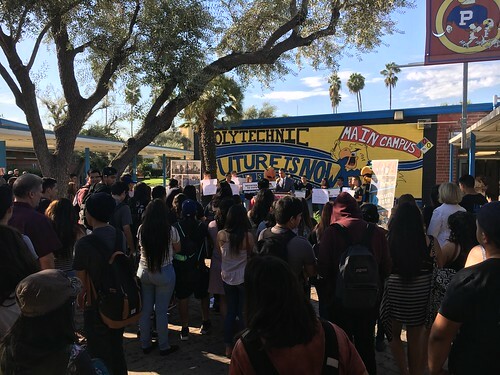 The campaign focuses on 12th grade students who are presently 18 years old or who will be 18 during California’s High School Voter Education weeks.